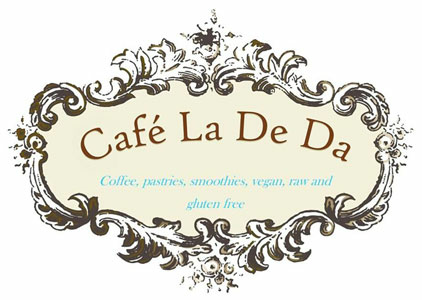 Online ordering menu for Cafe La De Da. European style cafe offering Kobrick Coffee from NYC. Kobrick is the official coffee for Martha Stewart, Bobby Flay and Mario Battali. We offer a variety of vegan and gluten free pastries and bagels. Lunch options prepared fresh to order, featuring wraps, salads, sandwiches childrens lunch combos and more ! Cafe La De Da is conveniently located in Elite Trampoline Plaza on 35 North In Middletown. Order online today for delivery or take out!